Call 1.800.330.8820 or click here to have an Africa Travel Specialist contact you about booking this Madagascar nature vacation. 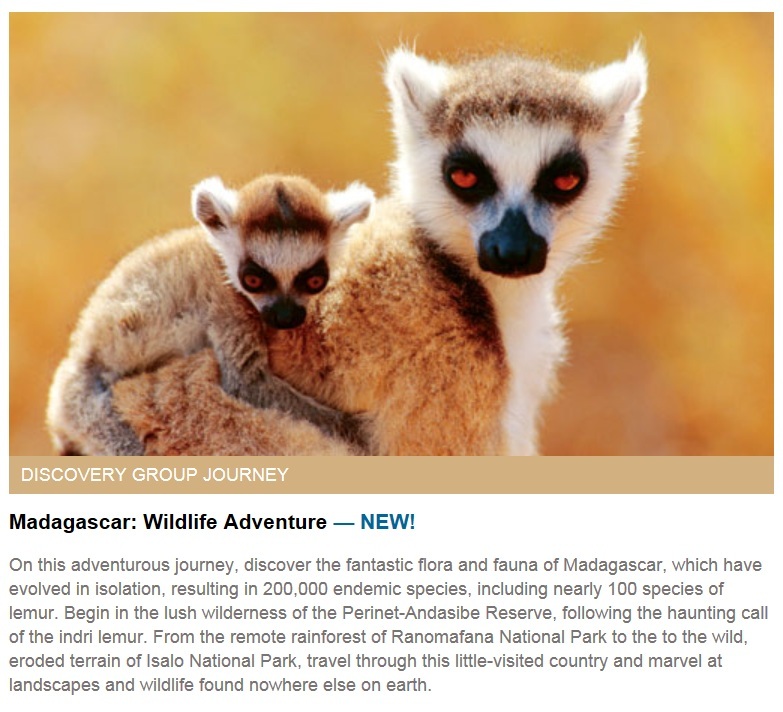 Enjoy the exploring Madagascars’s National Parks. Mention promo code CKWS. ~ by travelwizette on July 9, 2012.